Before we get into any details the good news is the iconic Jawa motorcycle brand is back and all the credit goes to Classic Legends who happens to be a subsidiary of Mahindra and Mahindra. Jawa launched three new motorcycles at an event in Mumbai on 15th November which also opened a new chapter for the iconic motorcycle brand. 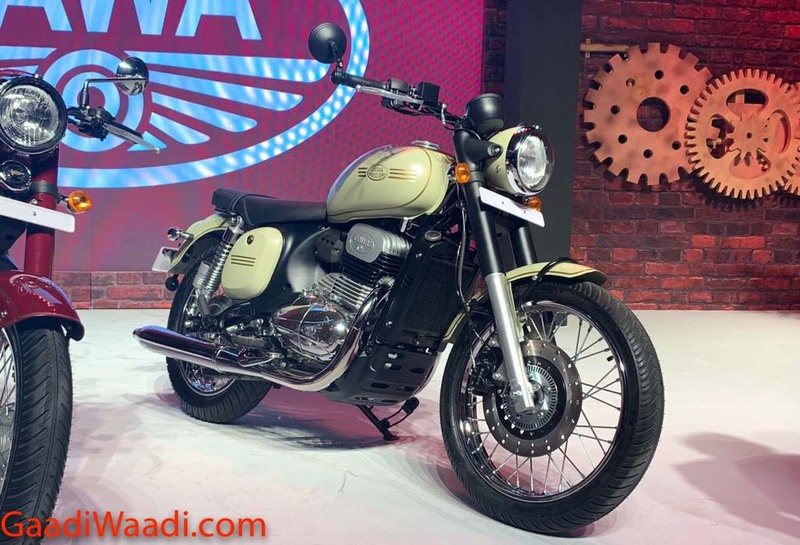 The three motorcycles which were unveiled at the event included the Jawa which can be called as a successor of the retro Jawa 32 motorcycle, the second one which also happens to be the entry-level motorcycle of this particular brand is called the Forty two. We will be talking about this motorcycle in detail a bit later and also compare it with its biggest rival the Royal Enfield Classic 350. The third and perhaps the most beautiful motorcycle of the Jawa lineup is called Perak which is actually an unusual name for this cool looking motorcycle. The Perak is actually a Bobber styled factory-customized motorcycle which not only gets a longer wheelbase but also a slightly bigger displacement compared to the other two motorcycles. Unfortunately, the Perak has not been launched yet but Jawa said they will also be launching the Perak within the next few months here in India. Just like we mentioned above the Jawa and the Jawa forty two is already up for sale. The bookings for these motorcycle has commenced online while the deliveries will begin in early 2019. Today we will be comparing the newly launched Jawa forty two with the Royal Enfield Classic 350 and find out which one scores better in the field of appearance, performance, and pricing. Let’s be honest here I know that there are plenty of Royal Enfield fans out here who blindly support RE motorcycles and I myself being one of them as well. 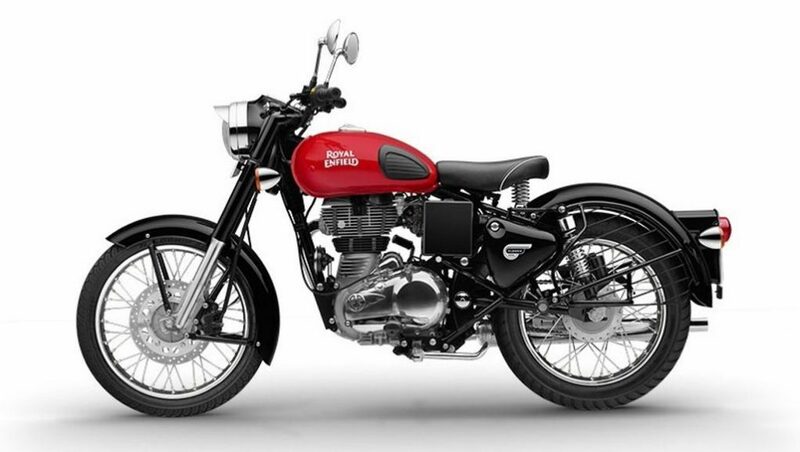 There is no doubt that the Classic 350 is one of the finest retro styled motorcycles in the Indian market now. While we talk about budget retro Cruisers the Classic 350 is the first motorcycle which comes to our mind. But hey, let’s be honest here the motorcycle hasn’t received any noteworthy updates since it was launched here in India. 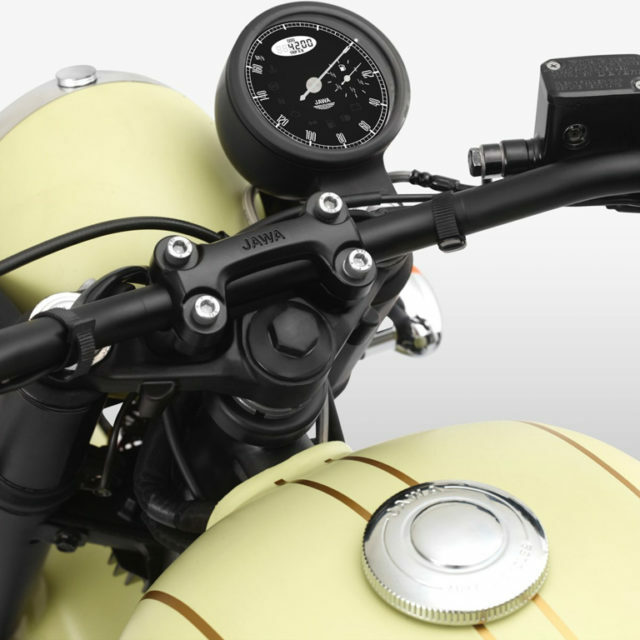 The motorcycle gets the same round shaped headlamps towards the front followed by an analogue instrument cluster which gets a speedometer and odometer while it still does not get a fuel indicator. I can understand that simplicity is what makes the retro motorcycles stand out from the others but these are a few features which we expect in an age where we always try to look for something extra. That said, there is nothing much to speak about the Classic 350 because we all are quite familiar with how it looks. The Jawa Forty Two, on the other hand, is also a retro motorcycle but it is definitely not as retro like the other Jawa. The front profile gets halogen headlamps followed by an offset small and compact round shaped instrument pod. This is a small unit which showcases speedometer and it even gets a fuel indicator as well which is actually a good thing. The motorcycle gets a wide handlebar finished in a high quality matte black colour which is also different from the ones found in the other Jawa motorcycle. The rest of the motorcycle gets a tear-shaped fuel tank and a flat cushioned saddle which goes well with the overall theme of the motorcycles. What I particularly did not like is how the rear fender looked, if Jawa made the rear fender a little shorter than the motorcycle definitely looked much cooler. Nonetheless, there is always an option for aftermarket custom fenders. The rest of the motorcycle gets some signature Jawa touches like a double barrel cigar shaped exhaust pipes and pinch of chrome here and there. The LED taillamps to looks like a waterfall as mentioned by Jawa officials which actually looks good and helps in adding the modern touch. 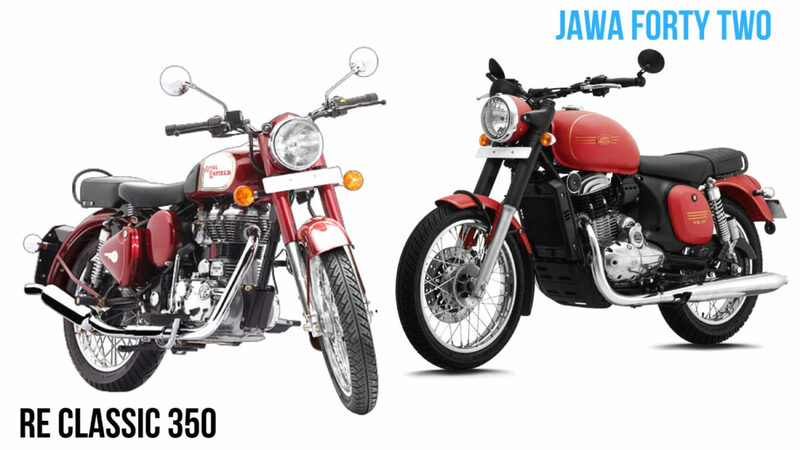 If we compare the RE Classic 350 with the newly introduced Jawa Forty-two then the Jawa surely will steal all the attention with its retro yet modern appeal and few nits and bits which make this motorcycle stand out in the crowd. The newly introduced Jawa Forty-two shares the same engine with the more retro looking Jawa. Both the motorcycle is powered by the same 293 cc, single cylinder liquid cooled fuel injected DOHC motor which has been derived from the Mahindra Mojo. However, it has got no similarities with the former and has been built and developed from scratch. The engine is capable of producing about 27 Bhp of peak power and 28 Nm of torque making it more powerful than its rival in terms of horsepower. The engine is paired to a 6-speed constant mesh gearbox. Although the performance figures are not available as of now but being a lightweight machine than its rival the Classic 350 we are pretty sure that this will be a faster accelerating motorcycle than its rival. For your information, the Jawa engine is already a BSVI compliant unit which won’t need any updates when the new emission norms come into effect. The Classic 350, on the other hand, is powered by a 346 cc, air cooled, single cylinder four stroke engine which is capable of producing about 19.8 Bhp of peak power and 28 Nm of torque. The engine is paired to a 5-speed gearbox. The BSIV updated engine has not received any updates for a long time and if we compare this engine with the Jawa then this is definitely an old engine which needs some serious updates soon. The motorcycle is not at all rev friendly machine and is happy if kept within its comfortable speed limits of 60 to 80 km while riding. However if pushed hard then the Classic 350 can even reach speeds above 110 km/h mark as well but then the vibration on the motorcycle become intolerable. If we compare both the engines in terms of their specs then the Jawa’s 293 cc unit is a more advanced unit and also generates slightly more power while the torque amount remains the same on both the motorcycles. Keeping the specs and weight of the motorcycle in mind we believe that the Jawa Forty-two will be a faster machine amongst the two. While we also do believe that it will also have more top speed as well. However, a real test speed run will reveal further more details. If we talk about the suspension and brakes then the Jawa Forty-two uses a 280 mm disc with floating callipers towards the front which also gets a single channel ABS setup while the rear wheels get 153 mm drum brakes. The Classic 350 now, on the other hand, has been updated with dual disc and a dual channel ABS setup now which makes the brakes much more effective than before. The suspension duties are carried by a telescopic hydraulic fork towards the front and twin shock gas charged hydraulic suspension towards the rear which is quite identical to what you will find in its rivals as well. The Jawa Forty-two like we already mentioned above is the entry level motorcycle in the Jawa range and it is priced at Rs. 1.55 Lakhs ex-showroom while its rival the Royal Enfield Classic 350 is priced at Rs. 1.40 Lakhs ex-showroom. The Jawa Forty-two is definitely slightly pricier than its rival. If we compare both the motorcycles in terms of their appearance then the Jawa Forty-two no doubt is a much better-looking motorcycle amongst the two. Both the motorcycles will remind you of the bygone era which is one of their main styling attraction while there has been a lot of complaints about the fit and finish quality as well as the lack of features in the RE motorcycles but the Jawa Forty-two perhaps won’t face the same issue. If we talk about performance then there is no doubt in the fact that the Jawa offers surprisingly impressive performance numbers from relatively a smaller displacement engine. The Classic 350, on the other hand, hasn’t really made any changes to the engine since its introduction so there is nothing new that we can talk about its engine and performance. If we keep the pricing under the spotlight then we must say that the Jawa forty-two offers a better package than the RE Classic 350. The only things it lacks is the presence of a rear disc brake which I am sure Jawa will include soon. Now comes the big question if you ask me where I want to spend my money on then I would certainly spend it on the new Jawa for sure.